CKC can support in setting up a new provision, from identifying suitable locations, Ofsted registration, staff recruitment, marketing to drawing up contractual agreements with parents and setting up the processes needed to fund a successful club. CKC can conduct a sustainability health check and provide options (including costs savings) if the club does face sustainability issues. CKC can support in the recruitment process; help identify key members of the team, undertake the recruitment process on your behalf and help shape induction procedures. CKC can provide playworker(s) on a temporary (one off) or regular bases. All playworkers will be DBS and reference checked and will be put through our new playworker training programme (first aid, child protection, Prevent, food hygiene & introduction to playwork). CKC hosts’ or/and deliver training programmers’ which are specifically designed for the OOS sector. Individual playworker(s) can join these courses, which are usually hosted at one of our settings in the evening. Previous courses include, Introduction to Play-work, Basic Child Protection, Paediatric First Aid, Food Hygiene, Developing the Play Environment, Teamwork in Play Setting, Reflective Practice in Playwork. The aim of this programme is to develop play-workers to become future play-leaders, through a dedicated and specialised training plan, coupled with offering experienced senior team support and mentoring. The FLP is expected to last between 12 – 18 months, with the end goal of having the skills and experience required from a play-leader or deputy play-leader. CKC can undertake the tasks for a payroll bureau, producing (and paying if required) monthly wages, either on salary or hourly wages (timesheets), including all HRMC and pensions requirements. CKC can undertake the HR function, including recruitment & development, payroll and continued support for employee’s as well as supervisions and appraisals. CKC can undertake the production of weekly registers (including new and amendments to regular bookings if required). Registers will be emailed or delivered to the manager on a weekly base. CKC will email invoices to parents on a monthly bases and undertake the fee’s collection, accepting payments via (cash, cheque, credit / debit card, direct debit, BACS, or childcare vouchers). CKC will undertake any tasks requires to chase outstanding payments and if required (and requested) debt collection processes all the way through to county court judgments [CCJ]. The aim of this service is to allow the play-worker team to focus on play at the setting and all invoice admin to be undertaken out of hours. CKC can provide strategic support and advice to volunteer committee on the legal and operational requirements needed to operate an OOS provision. This is aimed to work alone side a playleader / manager to provide an external oversight by a sector specialist with current knowledge of locality themes. This will include attending management committee meetings (as an observer). CKC can conduct a “spot check” to identify any areas of improvement. This will include a review of paperwork, speaking to staff and children and an observation with the settings manager. The aim of the ORC is to review and evaluate practices of the setting. CKC can undertake the finance function of the provision, producing monthly management reports and approving (and paying) any costs subject to a budget and independently produced year end accounts can be prepared for AGM’s. CKC can undertake the day to day management of the club under the direction of a management committee. CKC can take over the overall responsibility of the management and running of a club. CKC can conduct a “spot check” to identify any areas of improvement. This will include a review of paperwork, speaking to staff and children and aan observation with the settings manager. The aim of the ORC is to review and evaluate practices of the setting. 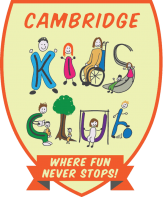 Cambridge Kids Club provides comprehensive and high quality advice and up-to-date information on the latest developments in the sector to us to help ensure that we can meet all legislative and Ofsted requirements, information about training opportunities and best practice. This is provided in an effective and timely manner allowing us to make informed decisions about the options for our provision.